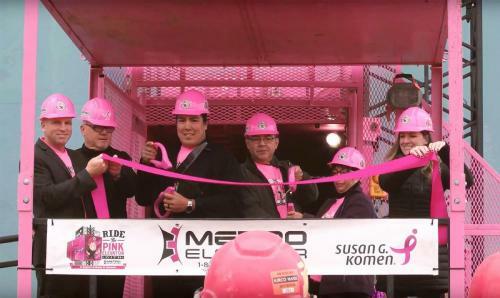 On October 26th, Spence Brothers’ helped cut the ribbon on the pink elevator at the Saganing Eagles Landing Casino. 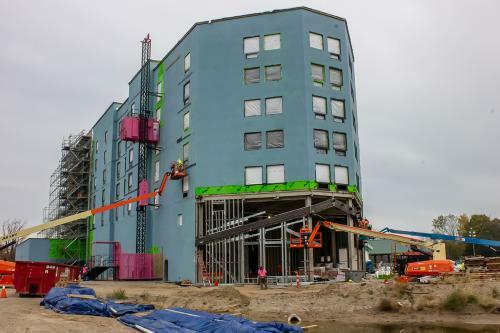 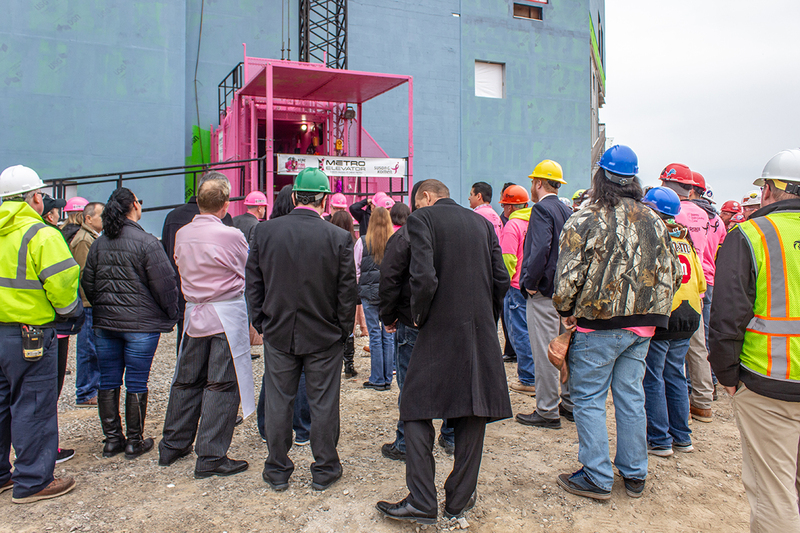 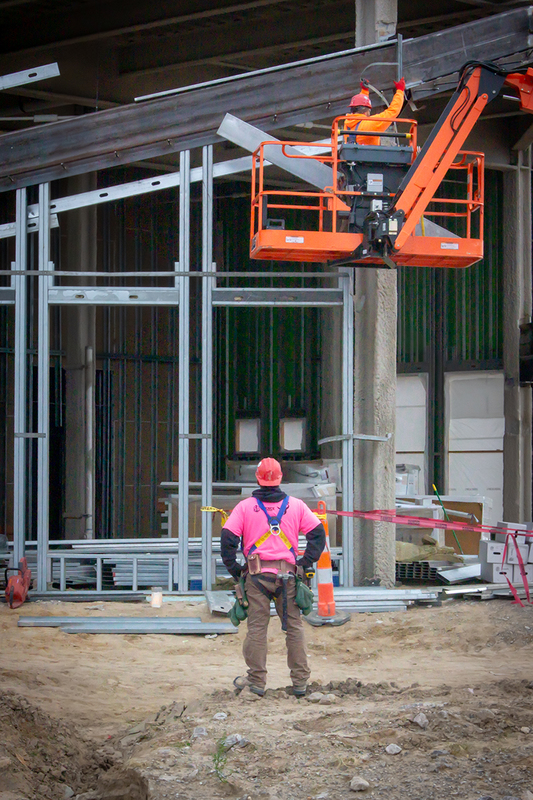 The pink elevator is located on the construction site of the 138,000 sf casino expansion, the development will host space for 148 hotel rooms, restaurants, a bar, retail spaces, and 400 additional slot machines. 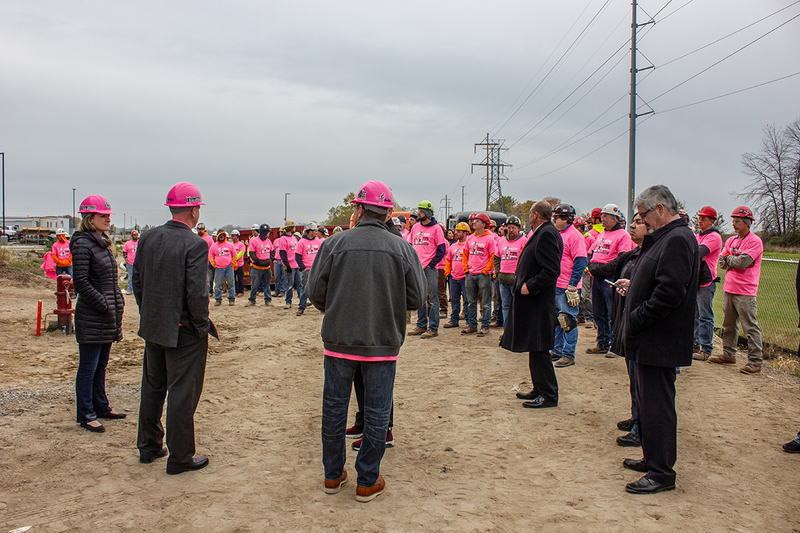 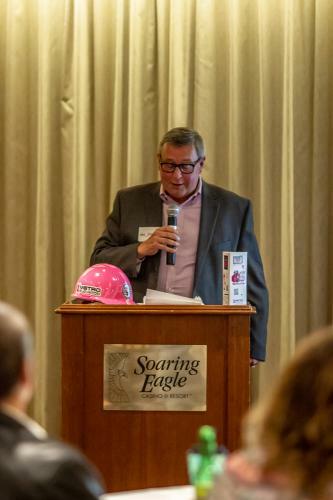 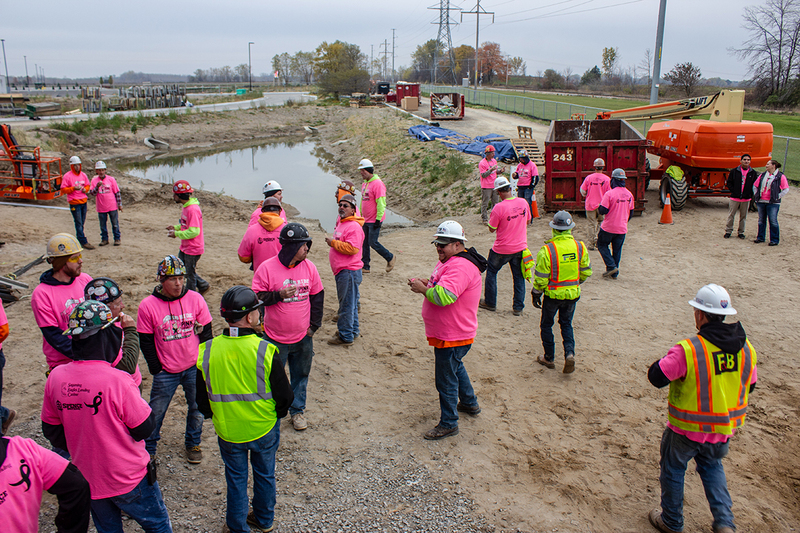 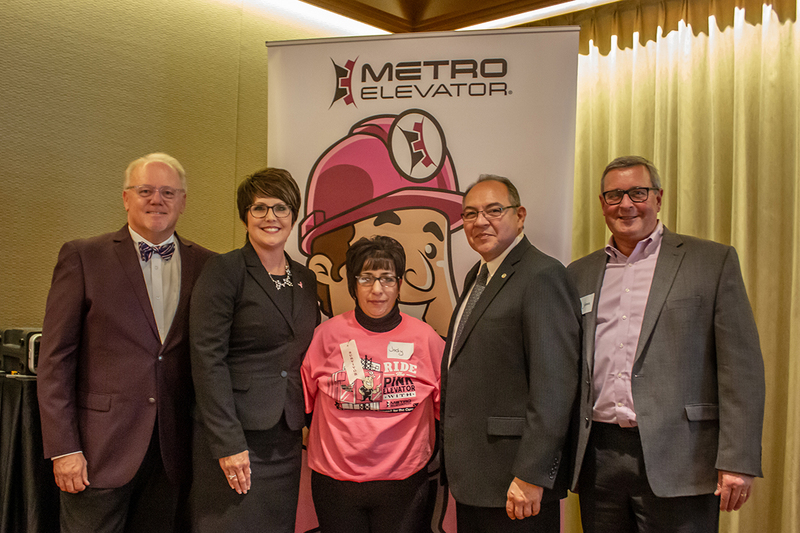 Spence Brothers partnered with the Saginaw Chippewa Indian Tribe, Metro Elevator, and Saganing Eagles Landing Casino to fundraise for Susan G. Komen Michigan. 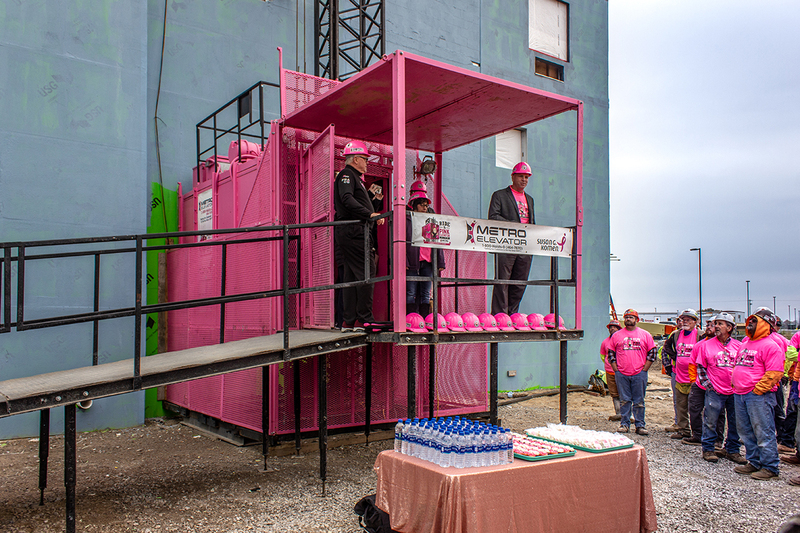 Part of the Ride the Pink Elevator campaign, the hoist was painted pink and installed on the construction site where it is displayed to raise funds and awareness for breast cancer research. 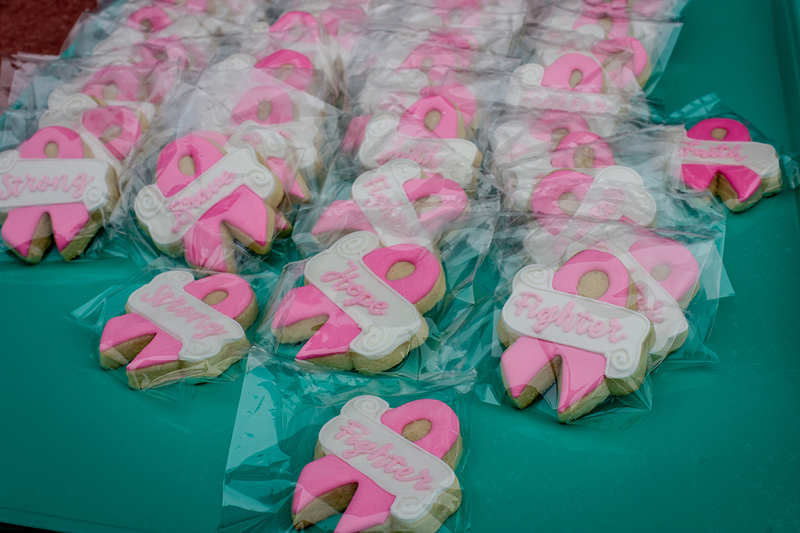 In one short month, the campaign raised $15,272.50 which will be donated to Susan G. Komen Michigan.